Oh, Balut! It's a staple in Vietnamese and Filipino cuisines, yet many other cultures consider it a 'bizarre food.' I've always loved Balut. For those unfamiliar with the dish, it is a fertilized egg with a partially developed duck embryo. The description adds to the 'ickiness' for those unadventurous eaters. What they should really call it is an eggy, goodness explosion! If the it’s fertilized egg is too mature, you will see a fully developed duck almost chirping at you! Okay, it's not that bad, but if the egg is passed it's prime then when you crack open the top you will most likely see hair, a fully developed beak, and possibly eat some hard, crunchy bones. Balut tastes amazing. If you love egg or you love chicken, then you really need to try it. The egg yolk in Balut is very rich, much better than any chicken yolk. If you love chicken soup, the broth inside the Balut is chicken soup on steroids! Drink it! Unless you know how to pick a proper Balut, I would advise against going to the local market and picking some up yourself. 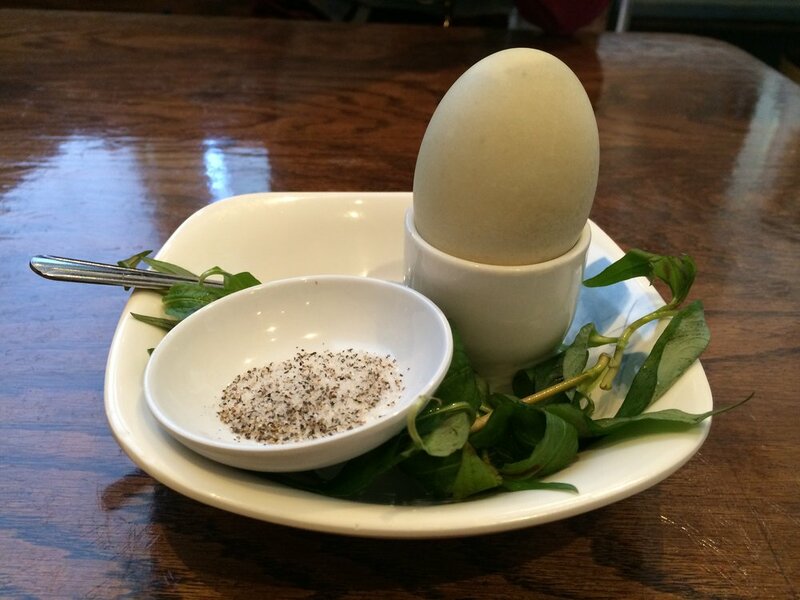 I've personally had a Balut that was too mature once and it ruined the dish for me. I had to stay away from it for a few months to recover. Spoiler alert! It's no fun to see an almost fully grown duck staring at you or to crunch on bones. If you want to try Balut, it's really important to go to a resturant that serves the dish. If they know how to pick the Balut, then you will never encourter the problems mentioned above. A perfectly cooked Balut tastes like chicken soup. You shouldn't even be able to tell you're smashing up a duckling with each bite. I have found the Balut at Banh Xeo Quan to be quite consistent and delicious. They are only avaiable there on weekends for $2.50 a piece. Make sure to add herbs and some salt and pepper! If you're still not sure about Balut, I'd suggest ordering one and just drinking the soup and eating the yolk. You can totally just scoop out the embroyo and work your way up to it!